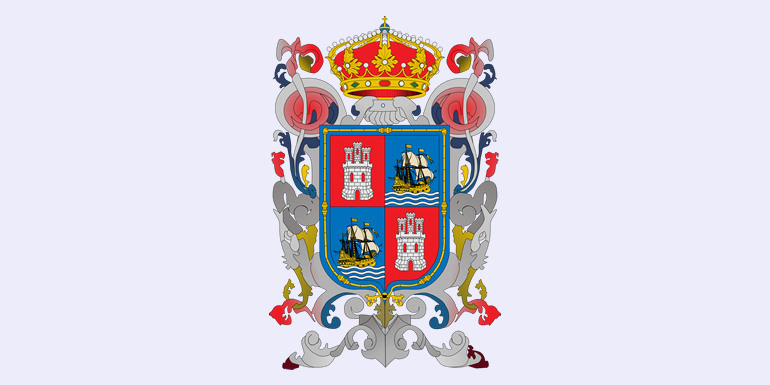 Campeche, officially the Free and Sovereign State of Campeche (“Estado Libre y Soberano de Campeche”), is one of the 31 states which, with the Federal District, comprise the 32 Federal Entities of Mexico. 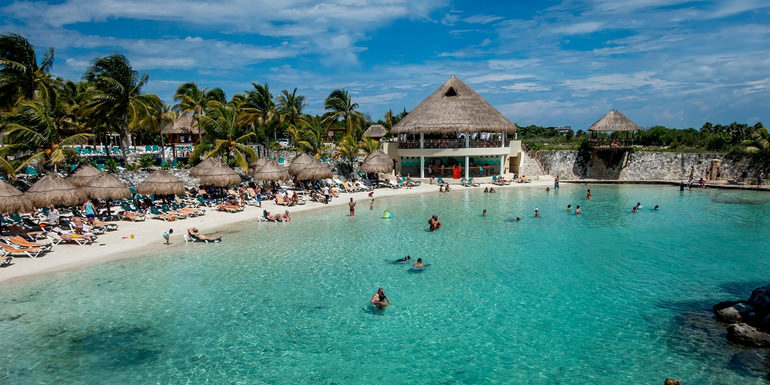 Located in Southeast Mexico, it is bordered by the states of Tabasco to the south west, Yucatán to the north east, and Quintana Roo to the east, and to the southeast by the Orange Walk district of Belize, and the Petén department of Guatemala to the south. It has a coastline to the west with the Gulf of Mexico. The state capital, also called Campeche, was declared a World Heritage Site in 1997. 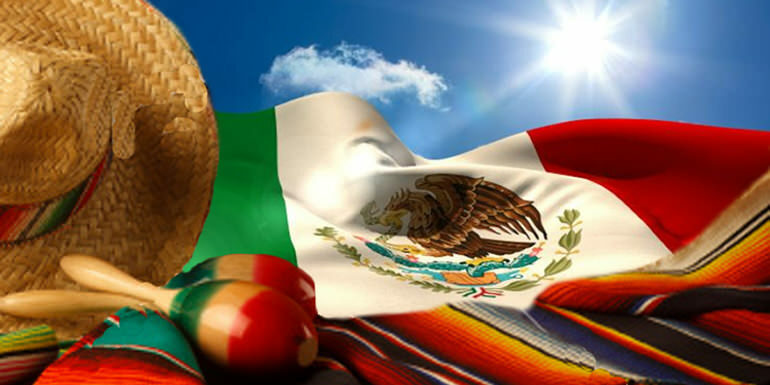 The formation of the state began with the city, which was founded in 1540 as the Spanish began the conquest of the Yucatán Peninsula. 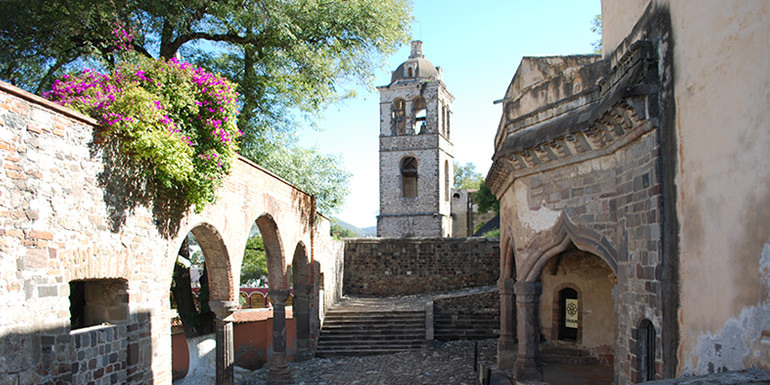 During the colonial period, the city was a rich and important port, but declined after Mexico’s Independence. Campeche was part of the province of Yucatán but split off in the mid-19th century, mostly due to political friction with the city of Mérida. Today, much of the state’s economic comeback is due to the finding of petroleum offshore in the 1970s, which has made the coastal cities of Campeche and Ciudad del Carmen important economic centers. The state has important Mayan and colonial sites but they are not as well known or visited as others in the Yucatán. The state’s executive power rests in the governor of Campeche and the legislative power rests in the Congress of Campeche which is a unicameral legislature composed of 35 deputies. 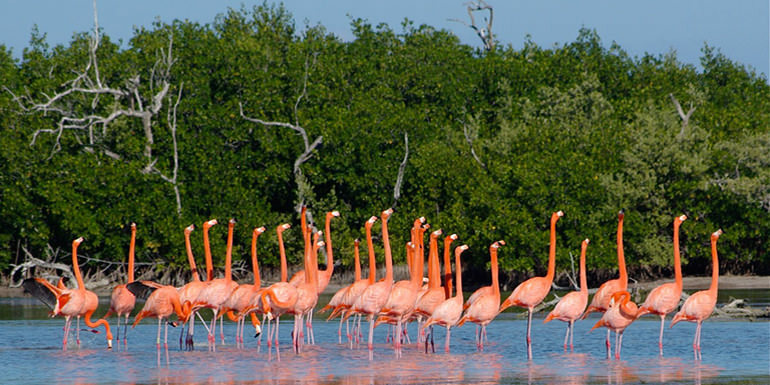 Campeche is a relatively flat area of Mexico with 523 km of shoreline on the Gulf of Mexico. Most of the surface is of sedimentary rock much of which is from marine origin. The area with the highest elevations is near the borders with Guatemala and Quintana Roo. Notable elevations include Cerro Champerico, Cerro los Chinos, Cerro El Ramonal, Cerro El Doce, and Cerro El Gavilán. However, these hills are separated by large expanses of lower flat land. 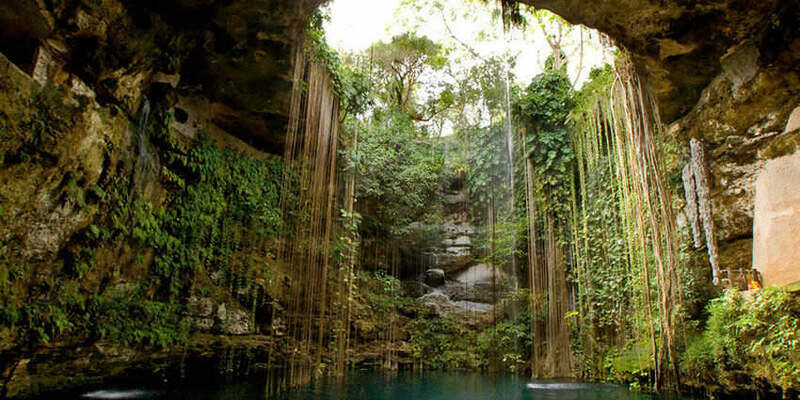 (mediofisico) In the south of the municipality of Champotón begin a series of rolling hills known as the Sierra Alta or Puuc, which extend northeast to Bolonchen and then into the state of Yucatán. These have only an average altitude of between forty and sixty meters with some reaching 100 meters. There other areas of these rolling hills, near the city of Campeche with main ones known as Maxtum, Boxol and El Morro. Another set is called the Sierra Seybaplaya in the center of the state. The first people to dominate the state were the Maya, who arrived to Campeche from Guatemala, Honduras and Chiapas. The main Mayan cities were Edzna, Xtampak, and later Calakmul and Becán. 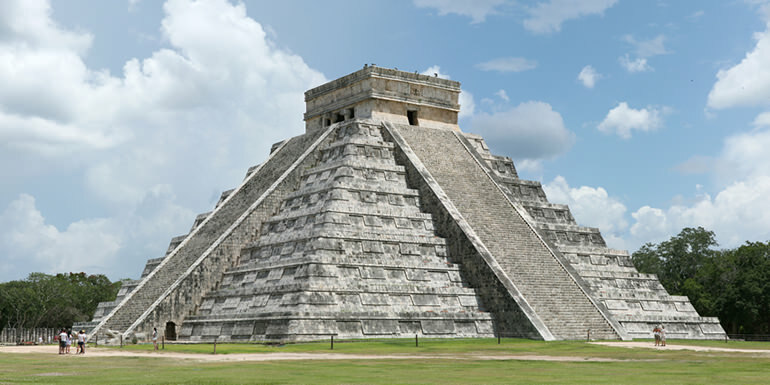 The Maya civilization reached its height between 600 AD and 900 AD From 1000 AD on, the Maya cities collapsed and were abandoned for unknown reasons. This led to the establishment of smaller settlements and a mixing of the Maya and Chontal people in the south of the state, which had commercial ties to the central highland cultures of Mexico. From the 11th century to the 16th century, Campeche was divided into smaller dominions. The Spanish introduced sugar cane and other crops in the area, starting in the 1540s, but the main value of the area was the port of Campeche, established in 1540 where the old Maya village used to be. During the colonial era, it was a commercial port equal to Havana and Cartagena even though piracy was a constant threat. It shipped valuable exports such as agricultural goods, tropical hardwoods and dyewood, then a widely used textile dye in Europe. It also handled gold and silver from other areas in Mexico going to Spain. Imported items to the port included luxury items such as Italian marble and crystal chandeliers from Austria . The Spanish built a European-based colonial city here and as it became rich, it was filled with large mansions. However, to survive in the hot and humid environment, the Europeans also adapted a number of Maya products such as hammocks for sleeping and storing drinking water in hollow gourds. They also built with the area’s local red cedar, mahogany and “sahcab” a local limestone. The shipping in these waters attracted pirates such as John Hawkins, Francis Drake, Diego the Mulatto, Henry Morgan, Cornelis Jol, Bartolomeu Português, Lewis Scot and Roche Braziliano . Most of the attacks were at the port of Campeche, but Champontón also suffered significant attacks in 1644 and 1672. Fortification of the city of Campeche began as early as 1610, but these structures were insufficient. The worst pirate attack occurred in 1685, when Laurens de Graaf sacked the city of Campeche and the surrounding haciendas for over thirty days, killing about a third of the area’s population. This prompted far more extensive fortification with numerous forts and a wall around the city that measured 2,560 meters in an irregular polygon shape. Most of the forts survive but only 500 meters of the original wall remains. These fortification cut the threat of pirate attacks but it remained walled until 1890. Campeche was officially recognized as a city in 1774 (the first in southeast Mexico) and in 1784 was declared a minor port. In 1804, the port was closed due to the war between Spain and England. This caused discontentment in the city and fomented insurgent tendencies. There was some improvement in the state’s economy starting in the 1950s when fishing and timber industries became more developed and there was better communications between the state and Mexico City. In 1955, the University of Campeche was founded and a state system of middle schools was begun. However, Campeche’s main economic change come with the discovery of oil off its shores in a shallow water region called the Sonda de Campeche. This oil was discovered by a fisherman named Rudesindo Cantarell in 1971, who reported an oil slick. In 1975, the first oil platform, called Chac Number One began operations. The first set of offshore platforms were completed by 1979. The find has made the state the top producer of petroleum in Mexico, providing 70% of all oil pumped in the country. The economic boom tripled the population of the city of Campeche in ten years, and nearly doubled that of Ciudad del Carmen, which before was only a small fishing village. However, the production of oil has brought environmental problems to the area, especially fishing yields, as well as internal strife between locals and newcomers. As of 2015, the state has a total population of 899,931. Seventy five percent live in urban areas along the coast and twenty five percent live in rural areas. The most populated municipality is Campeche. Most of the state’s population growth has occurred since 1970 when the population then was only 215,600. As of 2010, the most commonly spoken indigenous language spoken in the state is Maya, with 71,852 speakers. This is followed by Chol with 10,412, Tzeltal with 1,900 and Q’anjob’al with 1,557. There is a total of 91,094 speakers of an indigenous language in the state, which is about twelve percent of the total population. This is up from just under 90,000 in 2005. Fourteen percent of these speakers do not speak Spanish. There are about 7,000 Plautdietsch-speaking Mennonites of German descent in the State of Campeche, mostly around Hopelchen and Hecelchakán. These Menonnites came in the 1980s from the Mennonite settlements which were founded in 1922 and 1924 in the states of Chihahua and Durango, partly via Zacatecas. Sixty three percent of the population profess the Catholic faith as of 2010. Most those who are non Catholic belong to Evangelical or Protestant churches. The National Presbyterian Church in Mexico has a large percentage of followers in Tabasco State. Total Campeche contributes 5.1% of Mexico’s total GDP . The average salary per year in the state is $141,088 pesos in comparison to the national average of $99,114. However, there is a very large discrepancy between highly paid oil workers, mostly coming from out of state and locals who do not work for PEMEX . Most land is owned as community property under the ejido system (61%). Twenty nine percent is privately owned and the rest is under state or federal control. Three out of four residences are in urban areas, which generally have basic services. Most of these have cement foundations, with cinderblock walls and brick or cement roofs. Rural residences are usually construction from local materials which may have roofs of laminate, palm fronds or even cardboard, walls made of laminate or wood, with foundations generally of cement or packed earth. Overall in the state, running water, garbage collection and electricity is available in over 80% of homes, but sewerage in only a third. Over sixty five percent of the territory is exploited for forestry products, with over 25% used for grazing, with only 3.3% used for agriculture and about 5.5% used for other purposes such as human settlements. Only 3.3% of the state’s land is used for raising crops due to the soil composition. Over ninety percent of cropland is used for seasonal crops such as corn with the rest used for perennials such as fruit trees. The most important crop is corn, followed by rice and sorghum. Other important crops include jalapeño chili peppers, watermelon, sugar cane and various tropical and non-tropical fruit bearing trees, especially citrus and mango . Most cattle are raised in the center and south of the state for both meat and milk products and account for the most product by volume. In the north, most commercially raised livestock is domestic fowl mostly chickens and turkeys, but domestic fowl is raised in most rural homes all over the state. Sheep and goats are raised sparsely all over the state, depending on local vegetation. Forestry, including the extraction of precious tropical hardwoods, remains an important economic activity despite the degradation of many of the state’s forests. Commercial fishing is mostly done along the coast, with shrimp being the most valuable catch, followed by crustaceans and mollusks. This is mostly done in the coast reason, where most of the economy outside of oil production relies on fishing and the building and repair of fishing boats. The secondary sector of the economy (mining, construction, and industry) is almost entirely concentrated in the coastal area of the state in the municipalities of Campeche, Ciudad del Carmen and Champotón. Mining, mostly oil production, accounts for 52.8% of the state’s GDP. This oil lies off the coast of the state, in a shallow water section of the Gulf of Mexico called the Sonda de Campeche. Campeche oil and gas production accounts for 37% of Mexico’s total with crude oil alone accounting for 76% in absolute numbers. Campeche does not have metal deposits but it does have deposits of building stone, such as sandstone, marble and limestone, sand, gravel, lime, clay and other minerals. Most deposits are located in the municipalities of Hopelchén, Champotón and Calakmul. In the far north of the coast region, there are important deposits of salt. Construction and manufacturing account for 6.7% of the state’s GDP. The most common type of industry relates to food and food processing including seafood, soft drinks, cookies, flour, sugar and honey. Another common industry is that of building materials such as cinderblock, wood products and the processing of building stone. Most industries are small with little financing for technology and growth. Since the 1990s, factories of the “maquiladora” type have opened in the state, such as the Calkiní Shirt Company in Tepacan, Calkiní, Textiles Blazer in Lerma, Campeche, Quality Textil de Campeche in Becal, Calkiní and Karims Textile and Apparel México in the city of Campeche. Commerce and services account for 33.2% of the state’s GDP. The commerce sector of the economy is mostly traditional with small establishments catering to local or regional needs. In the larger cities, supermarkets and malls can be found. Most commerce with entities outside of Campeche is in seafood, agricultural and forestry products. The state has thirty four traditional public markets . All petroleum products are marketed by the national oil company PEMEX. The state has about five hundred businesses dedicated to tourism, about half of which are restaurants, a little less than a quarter bars and a similar number of handcraft shops. 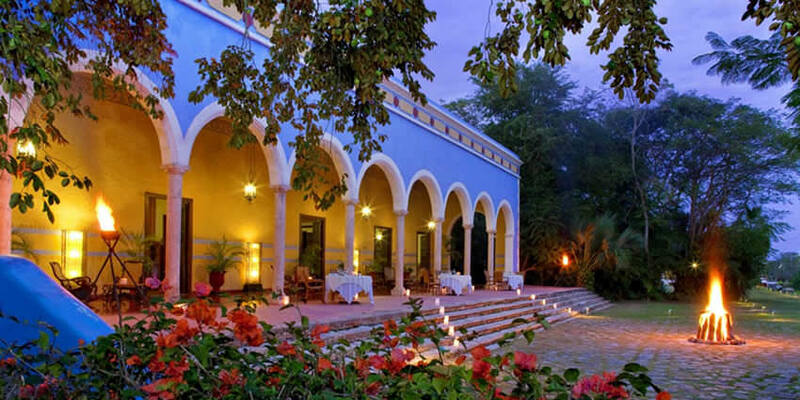 There are 126 major hotels mostly in the municipalities of Campeche, Ciudad del Carmen and Champotón. The average number of years of schooling for those over age 15 is 8.5, which means that most finish middle school. This is slightly under the national average of 8.6. Over 55% finish primary school and over 35% finish a level over high school, either in technical training or university. The state has over 1800 schools from preschool to university level. These include seventeen teachers’ colleges and twenty eight other institutions of higher education. The first educational institution in the state was located in the former monastery of San José in the city of Campeche, founded by the Jesuits in 1756 called the Colegio Clerical de San José. 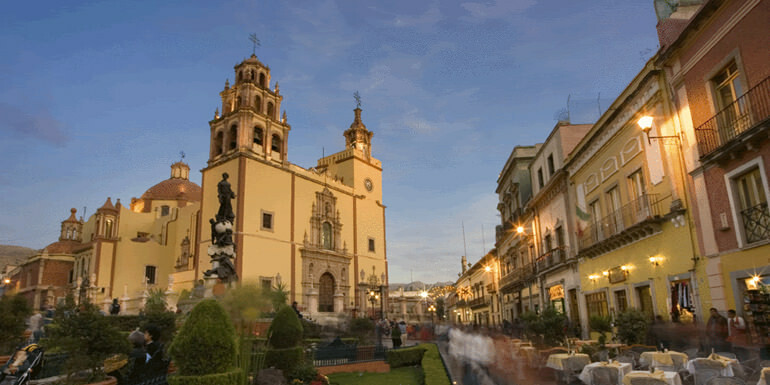 In 1823, its name was changed to the Colegio Clerical de San Miguel de Estrada. After the Reform Laws closed the monastery, The Instituto Campechano was established in 1859 by then governor Pablo Garcia in the same building. The Institute operated until the mid-20th century when it was replaced by the University of Campeche, which was initially housed at the Institute. The Universidad Autónoma de Campeche was founded in 1957 by the state to systematize higher education in the state as its first major university. The institution operated out of several buildings until the mid-1960s, when the Ciudad Universitaria campus was built, and named the Universidad del Sudeste. This name was changed to the current one in 1989. The university offers twenty three bachelor’s degrees, and eight graduate degrees. The Instituto Tecnológico de Campeche was founded in 1976 as the Instituto Tecnológico Regional de Campeche as part of a nationwide system of technical colleges with only two majors. The college gained its own campus in 1978 and its current name was adopted in the 1980s. 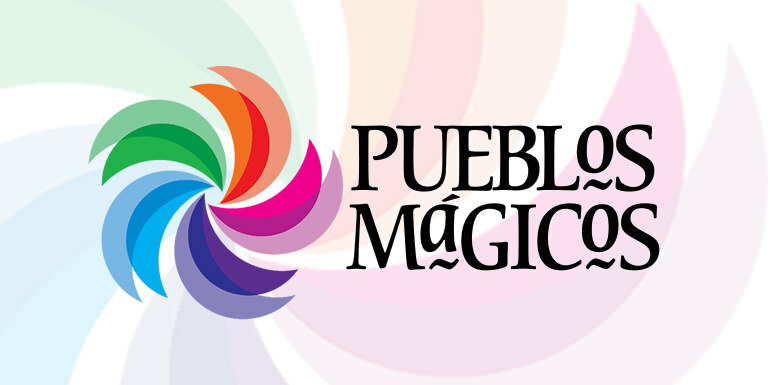 The state has eighteen radio station (fifteen commercial), seventeen television channels, one of which is local, ten from Mexico City and the rest cable or satellite, and four local newspapers, along with various from Mexico City. Telephone service is still mostly landline but cellular infrastructure is growing. The state has 3,872.69 km of highway, about a third of which is federal, connecting urban areas. There are eight nine main bridges, most of which are just to the south of the city of Campeche and near Ciudad del Carmen. The two largest are the Puente de la Unidad and Zacatal, which connect Ciudad del Carmen with the mainland. Other important bridges exist in Champotón, Candelaria and Palizada. Federal Highway 180 is the main thoroughfare in the state, running along the coast from the Tabasco state border connecting Ciudad del Carmen and Campeche with Mérida in Yucatán state. There is 403.84 km of rail line and two main airports in Campeche and Ciudad del Carmen. The latter also has a heliport and there are twenty five over air strips in other parts of the state. The shoreline has thirty seven commercial and military docks. The presence of PEMEX is the main force behind the building and maintenance of port infrastructure. The most developed public transportation is in the city of Campeche although busses, taxis and other public transportation is available in most towns. The Campeche airport, officially named Ing. Alberto Acuña Ongay, serves the city and port of Campeche with domestic service, mostly to Mexico City. Opened in 1965, it served about 100,000 passengers in 2009.